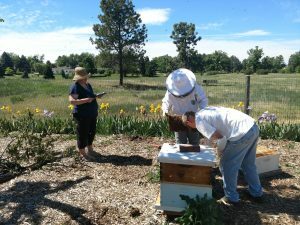 Thanks Dennis, Mara, Lori, Elianajoy, and ESPECIALLY Perry for coming out this past weekend to do our first inspection of all 6 hives! 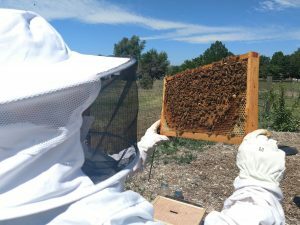 The good news: we spotted 2 queens (see pictures below), had zero mite counts on several hives, trained Dennis on inspections!, replaced both 1/2G sugar waters, logged data directly to our inspection form on Google drive, and installed a queen in the split (hive 5). 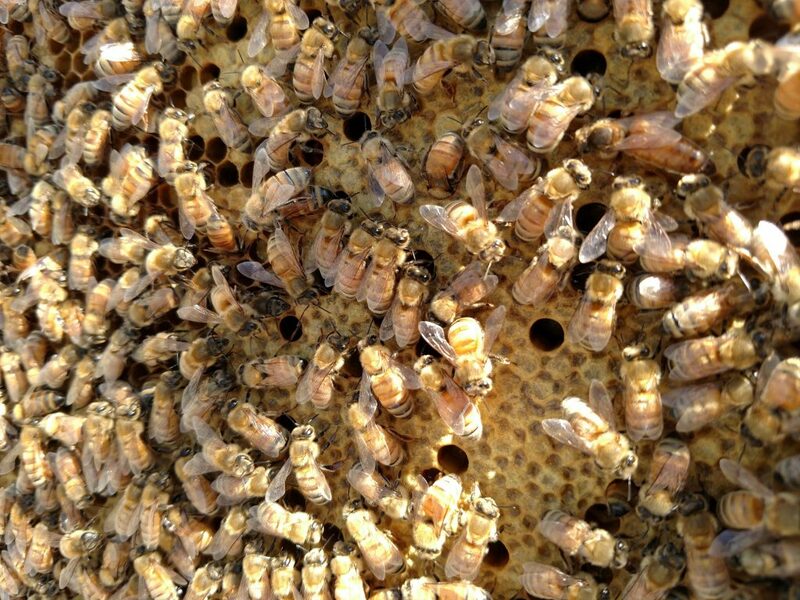 Unfortunately, there was bad news – hive 4 did not have a queen. It looks like I accidentally killed the queen when I inspected the hive back on May 6, when I added the Upper Deep. Luckily, Perry brought extra queens, and we added a new queen to hive 4 also, and now all 6 hives are Queen Right! There is a balance between inspecting hives to know how they are doing, and leaving them alone so we don’t cause damage. I am bummed to have lost the queen, but I guess it is part of the learning process. We’ll strive to be more careful going forward. Looks good. Next, add upper Deep so have frames to draw comb and change reducer to middle 6/9. Continue to feed after? Looks great! Needs nothing in next month. Self hatched queen looks to be doing well. Very strong. Next, add upper Deep so have frames to draw comb and change reducer to middle 6/9. Next inspection is June 9. We’ll need to scrape a bunch of wax off old frames ahead of time. Thanks again to everyone that helped out. As you check out the hives, you’ll be noticing more and more buzzing bees! Their populations are literally growing by several thousand bees each week each hive!